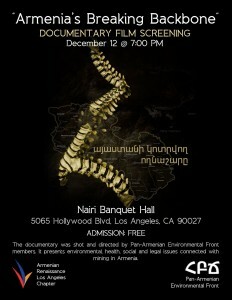 Third public screening of the environmental documentary “Armenia’s Breaking Backbone” in Los Angeles. 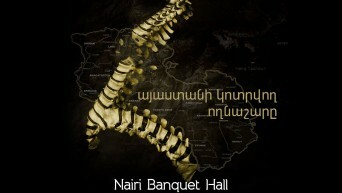 00:22 Հայկական Վերածնունդ շարժման ներկայացում Արման Դադիկոզյանի կողմից: Introduction to Armenian Renaissance Movement by Arman Dadikozian. 03:24 Համահայկական Բնապահպանական Ճակատի (ՀԲՃ) և ֆիլմի ներկայացում Հայարփի Քարամյանի կողմից: Introduction to Pan-Armenian Environmental Front (PAEF) and the film by Hayarpi Karamyan. 00:22 Հարց ու պատասխան: Q&A. 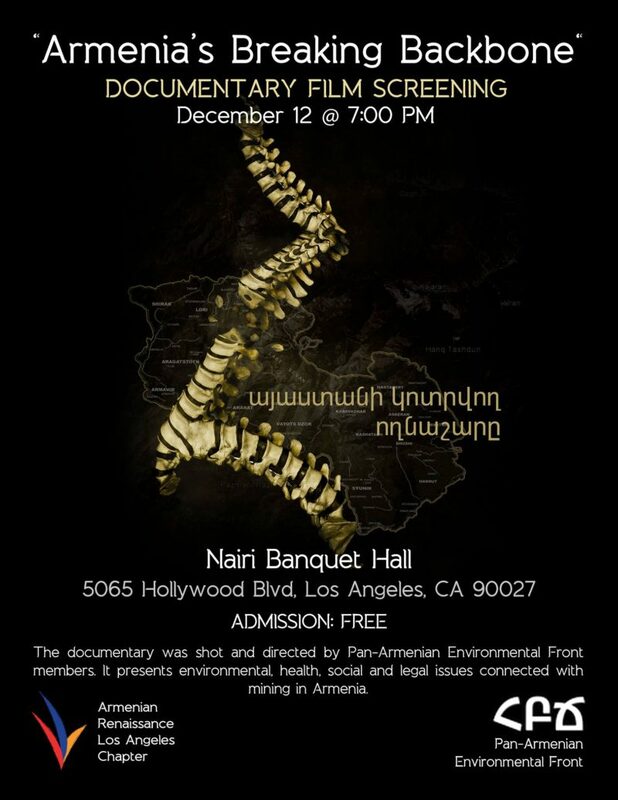 00:22 CSUN համալսարանի պրոֆեսոր դոկտոր Գագիկ Մելիքյանի ելույթը: CSUN professor Dr. Gagik Melikyan’s speech. 07:17 Սյուզան Պետրոսյանի փակման խոսքը: Closing remarks by Suzanne Petrosyan.